Recently our brothers “across the pond”at Godzdogz carried at wonderful interview with the Promoter for the Nuns, Fr. Brian Pierce, OP. We are happy to share it with you. Thank you, Brothers for this interview! We're blessed in Blackfriars to meet Dominican brothers and sisters from all over the world who come to Oxford for a variety of reasons, and occasionally, we thought that our Godzdogz readers might want to find out a little about them, and their work in the Order world-wide. Some of our readers may recall our feature series on the Dominican cooperator brother vocation, and we have also mentioned our apostolic sisters, the Dominican laity, and secular institutes. 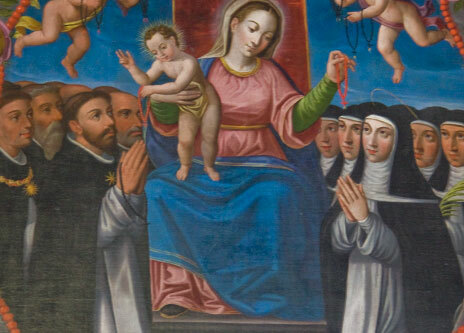 However, the Dominican family also includes contemplative nuns, the praying heart of the Order. This July, fr. Brian Pierce OP, a son of the Southern U.S. Province of St Martin de Porres, visited Oxford for a few days. fr. Brian has been a Dominican since 1982, has been a missionary in Latin America where he was among a team of friars who founded a community in Honduras, and is currently the Promoter General of the Nuns of the Order of Preachers. 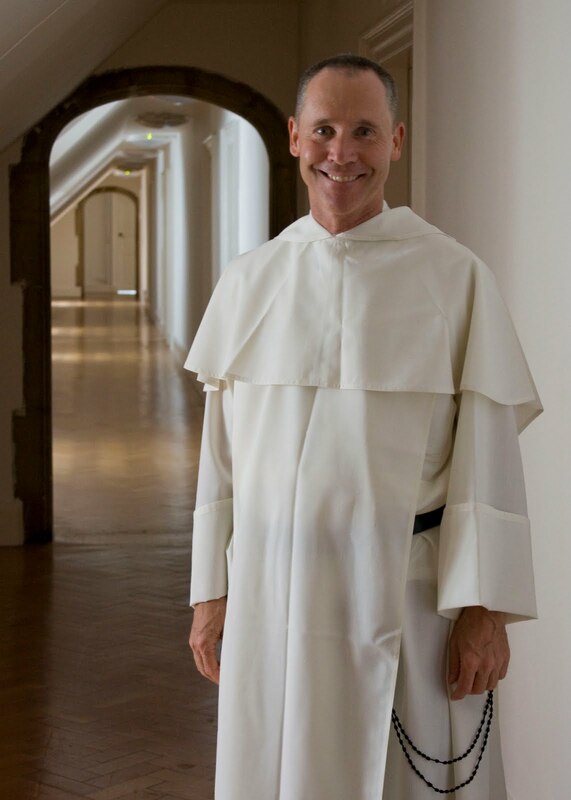 He is based in Santa Sabina, the Dominican headquarters in Rome, but is often on the road visiting the contemplative sisters, or attending conferences. While he was in Oxford, we managed to sit him down for the following interview. Can you tell us a little about what brought you to the Order? When I was 17, I was chosen by my high school to study in Peru as part of a foreign exchange student programme. Nothing shaped my life more than that experience. It broke open the world for me. It was my first time out of the United States, and I was in Cuzco, Peru. Peru in those days was under a dictatorship, and there was great civil unrest. I saw the world of the poor for the first time, and it broke me open. The political situation there moved me to study political science and Spanish in university because my experience in Peru raised so many questions for me, and I needed to find some answers. After I joined the Order, I returned to Peru to study theology for a year, to further my thinking about God, the Church, and the poor. However, I entered the Order through my association with the Dominican nuns. I went to university in west Texas, and began to practice my faith more seriously through the help of the campus ministry. One day, a sign went up saying that the chaplaincy was organizing a trip to a monastery. Now, I came from quite a Protestant part of Texas, and I'd never seen any religious before. I don't think I even knew they existed, and I thought that the trip to a monastery was going to be an excursion to an archaelogical dig. I thought I was going to see something from the past, because I never thought that monasteries still existed as living places! Instead of an archaeological site, we were taken to the Monastery of the Infant Jesus in Lufkin, Texas. It was a modern Dominican monastery with 35 nuns. It really pulled up the rug from under me, and I encountered religious, and their life for the first time ever. This experience raised many questions in my heart, and my experience of their contemplative life broke me down from inside to make me rethink my life. I wondered: why would anyone devote their lives to God, and silent contemplative prayer in this way? I just didn't believe that something like this was for real, so a few weeks later, I went back to see if they were still there, and if it had not all been put on as an act for us! It was real, and it really drew me in. What effect did this have on your vocation? The palpable silence of that monastery transformed me. I had no idea of what silence meant … but that experience of silence drew me. I considered monastic life for myself - Trappist, Benedictine - but when push came to shove, I joined the Dominicans without any idea of what the friars did; I was drawn by the nuns. It was a gut reaction, and I would go to their monastery and sit there for 3 - 4 hours, and the nuns would come and go and sing the Office. I didn't tell my friends, but I would just go and sit there. The nuns would welcome me, and were as hospitable as they could be, but they must have been confused as I was. After a year or so of this, I became a friend of theirs, and I would go and help in their garden, and I would have some conversations with the Prioress. 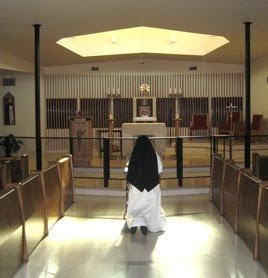 What are Dominican nuns, and how do they preach? For me, a community of nuns cares for a space of silence, and this was what drew me. They ensured that the silence did not become filled with anything else. One day I stumbled into this space and it changed my life. It was something I felt profoundly from the depths of my being, and not something I rationalised or intellectualised about. I think that a monastery that cares for silence in our world is already a great preaching. Timothy Radcliffe's last letter as Master of the Order was about the Dominican contemplative life. It was called 'A City Set On A Hill'. This is a wonderful Scriptural image of what our monasteries are, and in that way they are a great preaching. We Dominicans are the only contemplative Order who don't put our monasteries in hidden places. We don't flee from the world; there's no fuga mundi in our tradition. This flight from the world is not in our vocation. Yes, we come to live an enclosed life, but it's set on a hill, so that everything that the nuns do is something that has to be visible as light. A Dominican monastery only has meaning to the extent that it illuminates because everything that the nuns do is supposed to go out as light. What does your job as Promoter General of the Nuns entail? Because the nuns have a relationship with the Master - they make their vows to him, as we friars do - so the Master names a brother to be like another arm of his. Through the Promoter General the Master can be more present to the nuns. The Master has 6000 brothers to visit, and 3000 nuns, so he needs help in this task. So, my job is to be present as a brother to the nuns in the name of the Master. It's important to see that I don't visit them as a visitator. I come and listen as a brother, and I do formation work with them, give retreats, conduct Lectio Divina on the Scriptures, look at our Dominican spirituality, and recently we've been studying the discussions of the last Roman Synod on the Word of God. Where possible we bring together communities from nearby monasteries for these study sessions. How have you found the ideals of the Dominican contemplative life to be lived out? The nuns are like us friars in many ways, and there are shadows that enter that light too. I had probably put them on a pedestal when I was younger, but now I see that like us they also struggle to follow Christ and their vocation as faithfully as possible, trying to live rooted in God. Living in community is tough in an enclosed monastery, and a lot of what the nuns want to talk about sometimes is how hard it is to live together. Like our own brothers' communities, there are good people, and people who are struggling. But I think I have discovered a couple of saintly mystics in every monastery I have visited. I spot them in about ten minutes; I can see holy people when they walk into my life, and we have some real saints in the monasteries. 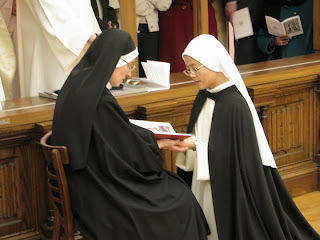 The greatest joy of this work for me is when I find myself in conversation with one of these holy nuns. I walk away filled with that light. What are your hopes and thoughts for the future? My hope is that there would be a monastery of nuns in every country. I think the nuns are the heart of the Order, and there's a difference when there are nuns in a country. They really become a place of gathering, and the other branches of the Order - friars, apostolic sisters, laity - gather around them. What surprises me is that even in countries where vocations are dropping drastically, there is still a steady drip of vocations to women's monastic life. I think apostolic communities will continue to go through great changes, but there's something permanent about monastic life. It won't die out; it's an archetypal symbol for humanity. Humanity's heart searches for God, and some people are called to symbolise that in a radical way. A monastic life is that kind of symbol; they do what all of us know deep in our hearts, even non-believers. It's a pull to something Absolute. The contemplative nuns just do outwardly what the heart wants anyway. Now, every contemplative Order has a third of its monasteries in Spain. We have 1000 nuns in Spain, but this is increasingly difficult to sustain as Spanish culture and life changes. But recently, I met a young Spanish girl who had just entered a Spanish monastery. She was bubbly as any other 25 year old, and although her friends and family don't understand her decision, it was something she just had to do. She's coming home to God. It was exciting to meet her. Even in our life as friars, we don't take risks as great as someone who enters an enclosed monastery. Monasteries can only be born from monasteries because it's a lived experience, and they can found a new monastery. It has to happen at the right moment, in God's time. Places like Vietnam and India were very important for the foundation of a monastery. With those now taking root, I think England is now high up on the list of places with a need for Dominican nuns' monastery. I hope that in the not too distant future that monastery is born again here in England. I think that the seeds that were blown into previous monasteries here are still around. And one day, one of these seeds will fall on a piece of fertile ground, and a monastery in England will be sown again. If 2 or 3 young English women were to come together with this desire, this will be the sign from God. Let's pray that the Lord will move the hearts of young women to respond generously and courageously to his call, and that in the Lord's time, the re-foundation of a Dominican nuns monastery in England will come to pass. Here are some photos from the websites of the Lufkin Dominican nuns and the Summit Dominican nuns. And here is the website of the Dominican Nuns' at Drogheda, Ireland, the monastery nearest to England. Solemnity of our holy Father, St. Dominic!